The 2013 Washington Redskins had problems tackling and getting to the quarterback. Fast forward one year and the Redskins don’t look too much different, although defensive coach Jim Haslett contends this unit will be “let loose” this year. That’s great news if you believe a strong pass rush makes a weak/un-proven secondary better. Adding veteran Ryan Clark to the safety unit gives the Redskins a guy who knows the defense rather well since it’s the same one he’s been in most of his career. The linebacker unit has Keenan Robinson healthy and stepping in for the retired London Fletcher as well as Trent Murphy, who led all of college football in sacks a year ago, trying to make a name for themselves. The 2014 Washington Redskins will look to put pressure on opposing quarterbacks, and that starts in the trenches. With the addition of Jason Hatcher, the defensive line should be improved this year. It’s looking like the Redskins are going to use a rotation of guys at the end that includes Stephen Bowen, Hatcher, Jarvis Jenkins and Chris Baker. The nose tackle position is still owned by Barry Cofield, Chris Neild is a guy the Redskins coaches love, and he looks like the backup at this point. 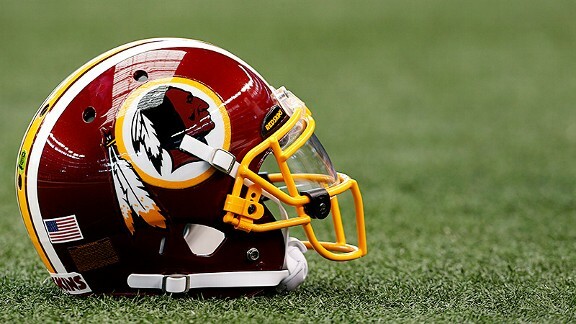 2014: Brian Orakpo, Ryan Kerrigan, Perry Riley, Keenan Robinson, Rob Jackson, Trent Murphy, Everette Brown, Will Compton, Adam Hayward, Akeem Jordan, Jeremy Kimbrough, Gabe Miller, Darryl Sharpton, Adrian Robinson. This linebacker group is HIGHLY talented. 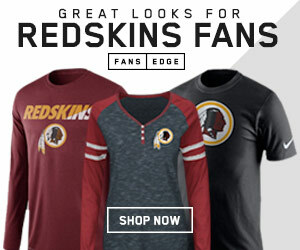 The Redskins have two of the NFL’s premier attacking linebackers in Ryan Kerrigan and Brian Orakpo as well as the NCAA’s leader in sacks from 2013, rookie Trent Murphy. The key to the entire defense in 2014 may rest in how much pressure this group puts on opposing teams. Perry Riley will anchor the inside linebackers, and Keenan Robinson looks poised to move into a starting role left vacant by the retired London Fletcher. One of the biggest upgrades of the off-season for the Redskins was in the signing of backup inside linebackers to stock the special teams…Adam Heyward, Akeem Jordan, and Darryl Sharpton look to have big roles on the return/kick teams in 2014. The biggest question here is can David Amerson step his game up to the next level and take the vacant number two corner spot for the Redskins? Or will Tracy Porter be the man to do that? Richard Crawford is returning from injury, and the Redskins drafted Bashaud Breeland out of Clemson, going to be hard for Chase Minnifield and perhaps EJ Biggers to make the final 53-man roster. The Redskins are banking on the theory that a good pass rush makes the secondary twice as good, the success of the 2014 Washington Redskins may depend on just that. This unit is by far the weakest on the entire Washington Redskins team. On the bright side of things, if Ryan Clark still has enough gas left in the tank he should be an immediate upgrade as well as a seasoned veteran who spent almost his entire career in the same system the Redskins are running now. On the other side of things, Brandon Meriweather is a magnet for officials on the field, Bacarri Rambo still can’t tackle, and we don’t really know anything about Phillip Thomas yet. 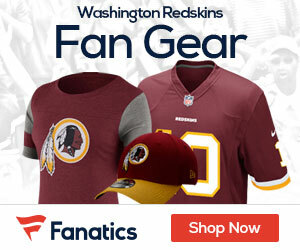 Thomas, who has fully recovered from a Lisfranc injury a year ago, could end up being a great player, which is what the Redskins are hoping for.